You are welcome on the official SonneX site! The years, which have passed, that SonneX trademark has come to the market in earnest and for long, SonneX sees the perspectives of development and moves towards new horizons with assurance. Buyers highly appreciate the products of SonneX trademark for the wonderful correlation of price to quality, the avant–gardism of the designs, quick recoupment and reliability. 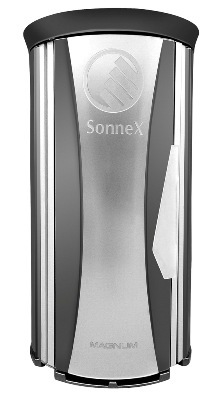 The diversity of the solaria and collagenaria, created with consideration of the peculiarities of the power supply systems in different countries, in combination with the attractive prices, has made the products of SonneX trademark an unconditional leader in the segment of equipment for artificial tanning and skin rejuvenation by means of collagen. Responsible performance of warranty and post–warranty obligations, the highest level of service and the professionalism of the personnel will satisfy the needs of the most demanding clients. SonneX. Do not agree to less!